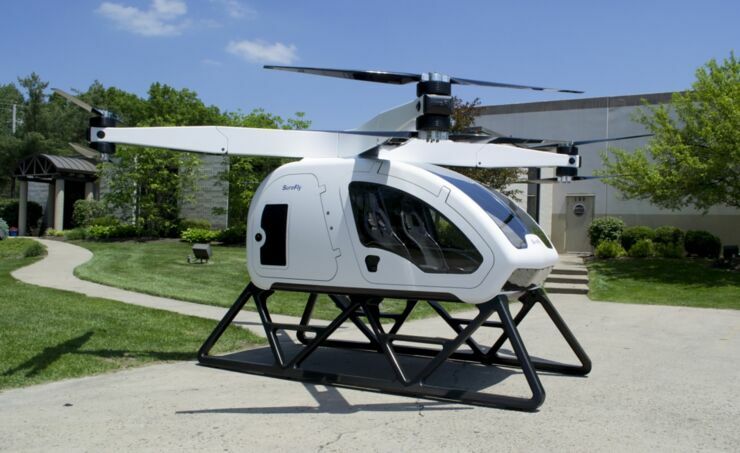 When it comes to traveling in style, the Workhorse personal helicopter, known as the Surefly, is right up there. 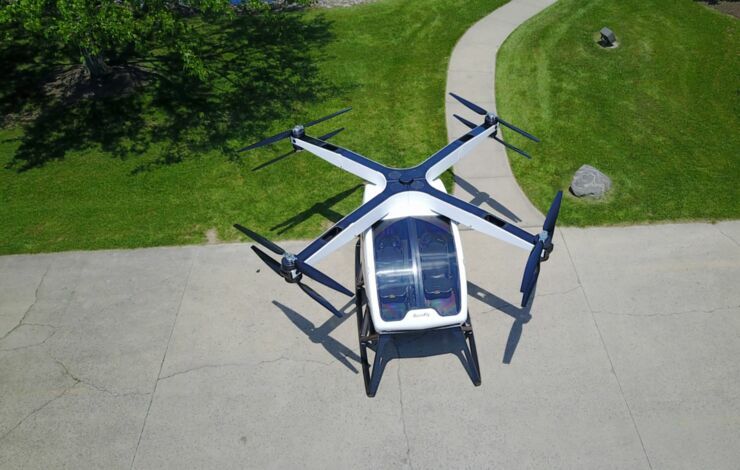 The two seater VTOL aircraft was unveiled in Paris recently and the idea is to make the experience of flying as straightforward and safe as possible. 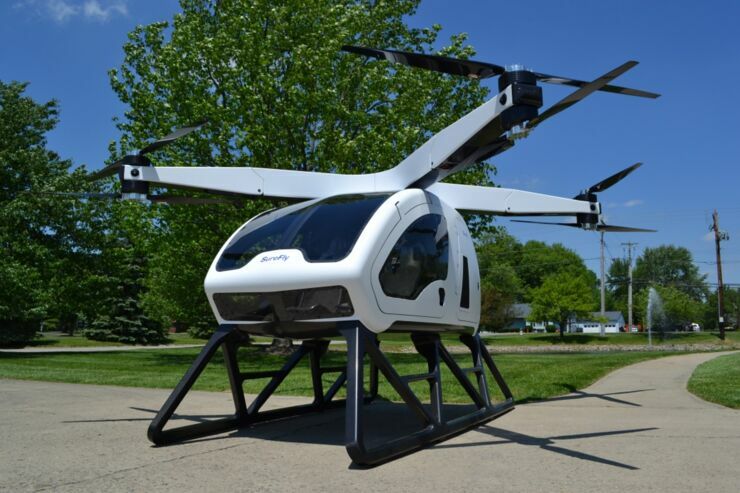 It has been heralded as a major next step towards the reality of a flying car. 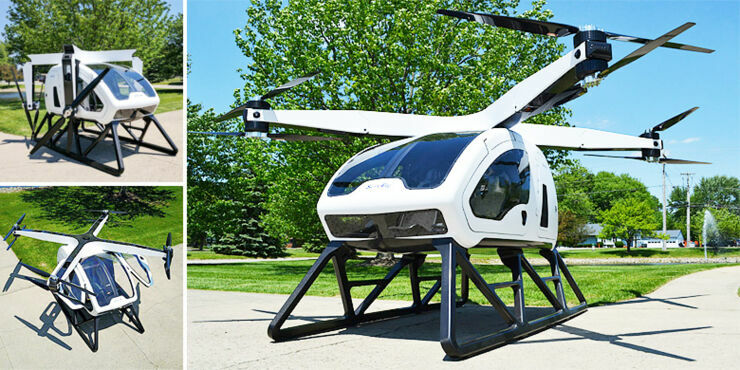 The Surefly personal helicopter has four carbon fiber propeller arms with two contra-rotating propellers on each one, these are driven by eight independent motors. These fold down too so you can store it in a garage. It's gas combustion engine powers it, but it also comes with a backup 7.5 kWh lithium-ion battery system in case of engine failure. And the SureFly comes equipped with a ballistic parachute in case things go really bad. 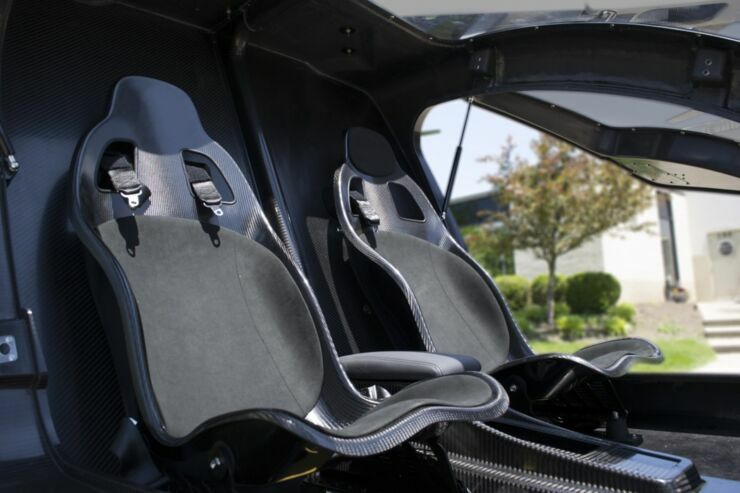 It has a range of 70 miles which is about an hour of flying, has a 70mph top speed, and has a flight ceiling of 4,000 feet. Fying Magazine explain that the controls for the Workhorse Superlfy are really simple, encompassing a joystick which propels the personal helicopter forward, sideways, and yaw. Altidude is controlled using buttons and an on-board computer takes care of throttle. 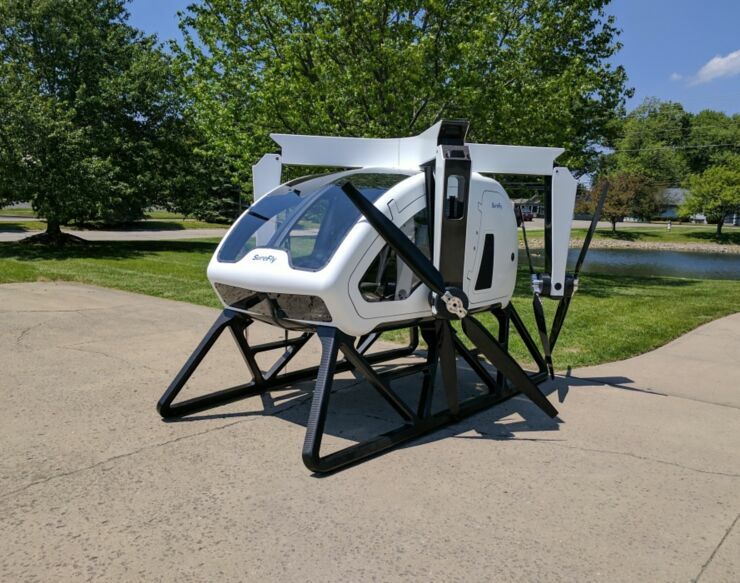 Workhorse CEO Steve Burns says the Surefly personal helicopter's computer is there to “Assist the pilot but not replace him. Since it’s classified as a light-sport craft it only takes 20 hours of [pilot] training. Helicopter training is 1500 hours.” Burns notes. 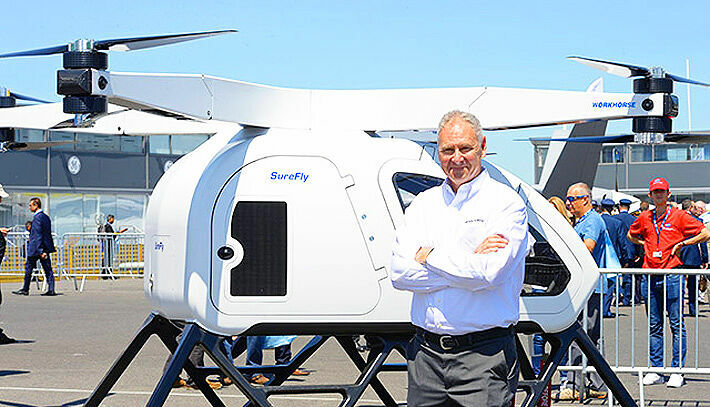 He says the US Federal Aviation Administration has been helpful as Workhorse seeks certification for the SureFly for commercial use. "They have just decided that if you can prove your personal helicopter is safe, they don't want to stifle innovation," Burns says. 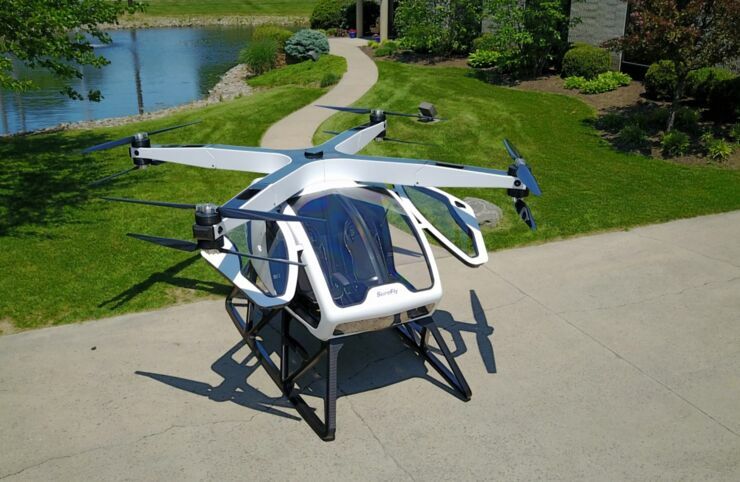 The Workhorse SureFly personal helicopter will set you back $200,000 if you fancy it. And while initially the idea is for it to be controlled by a person, eventually they want to create an autonomous version that can carry around 400 pounds. 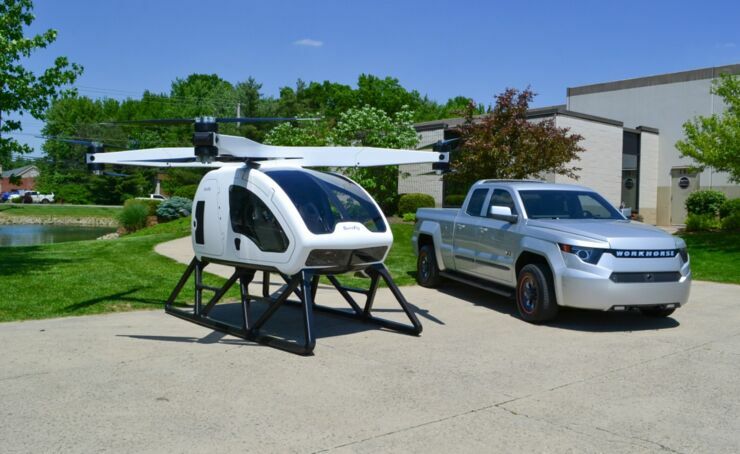 So it can be used in precision agriculture, emergency response, city commuting, and for military use too. 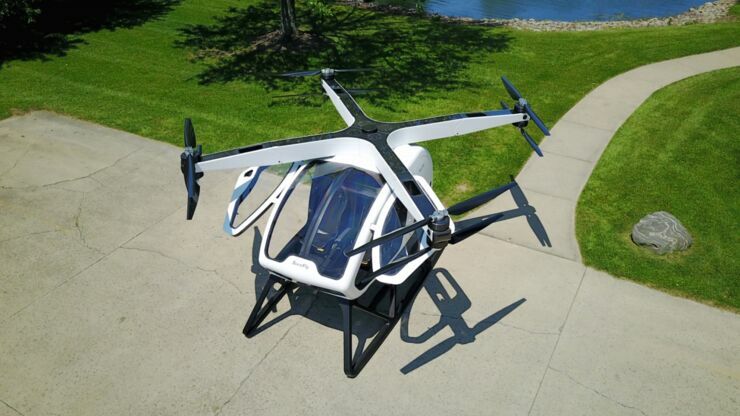 Workhorse imagines the SureFly being used as local luxury taxi service vehicle. 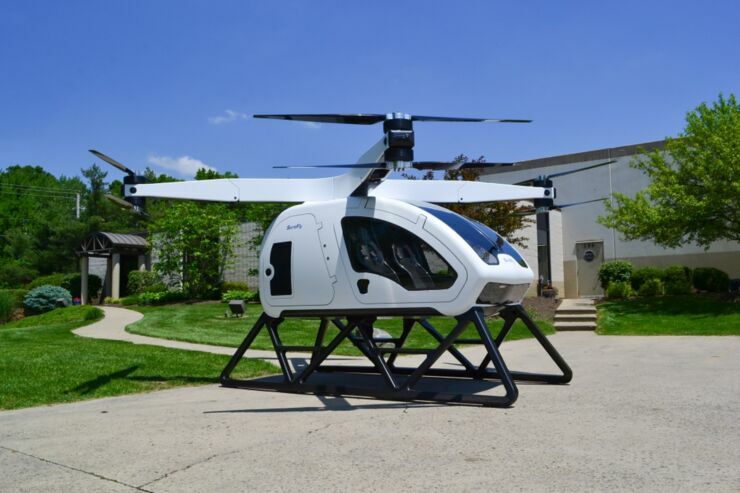 Check out some photos of the SureFly personal helicopter below and find out more at the Workhorse website.